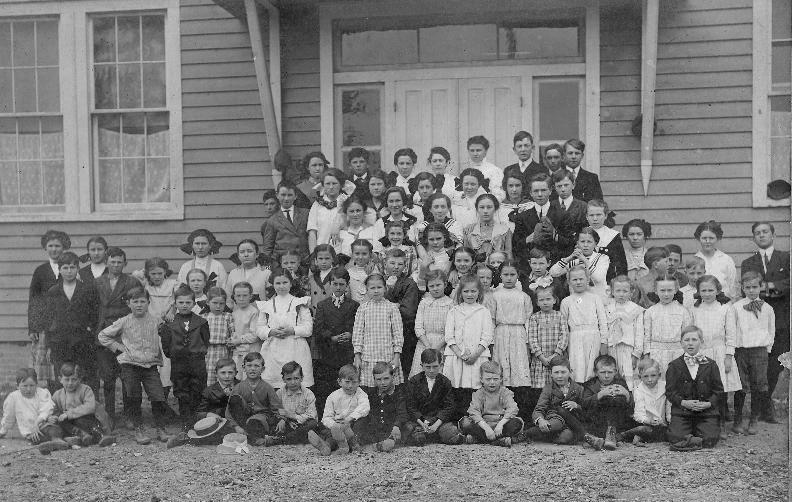 children, taken about 1913. Stella Duer and Eva Mears were the teachers of this class." Many thanks to GHOTE Denis Wood for sharing this piece of Eastern Shore history and to Wayne Stith for making the schematic for us. . If you can identify any of the people in this photograph, please send an email to Barbara Cox at ghotes@ix.netcom.com with the individual's number and name. If you have additional information on that person, send that too! Click here for the very large photograph. NOTE: This is a large file and may take several seconds to display on your monitor. Definitely worth the wait!. Copyright � 2002. This page updated December 27, 2003.